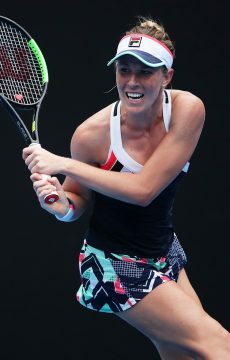 Victorian Olivia Rogowska has powered to a 6-3 6-1 triumph over Sweden’s Sofia Arvidsson on Monday, but Australian Open debutante Ashleigh Barty was not so lucky. For more than two years, the defining moment of Rogowska’s tennis career has been the most gallant of defeats. 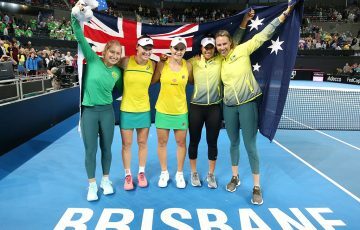 After crashing out at the first hurdle of her three previous Australian Open campaigns yet buoyed by new-found self-belief, the Melbourne local can finally claim a new highlight; a first success at her home grand slam. 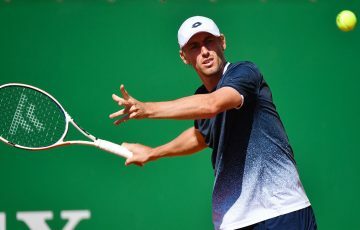 Joining her in the second round on day one were Casey Dellacqua and Bernard Tomic, who came from two sets down to oust No.22 seed Fernando Verdasco from Spain 4-6 6-7 (3-7) 6-4 6-2 7-5. Both Dellacqua and Tomic have previously enjoyed days in the sun at the majors. Until Monday, Rogowska was best known for pushing then world No.1 Dinara Safina to the brink in the opening round of the 2009 US Open, only to lose in three tights sets. “This one is up there with my French Open win (in the first round against Russian Maria Kirilenko in 2009) and my US Open performance,” said Rogowska, who made all the running against the counter-punching Arvidsson. “This is the second time I’ve been in the second round of a grand slam so I’m going to treat it differently and focus straight away on my next match (against No.5 seed Li Na). 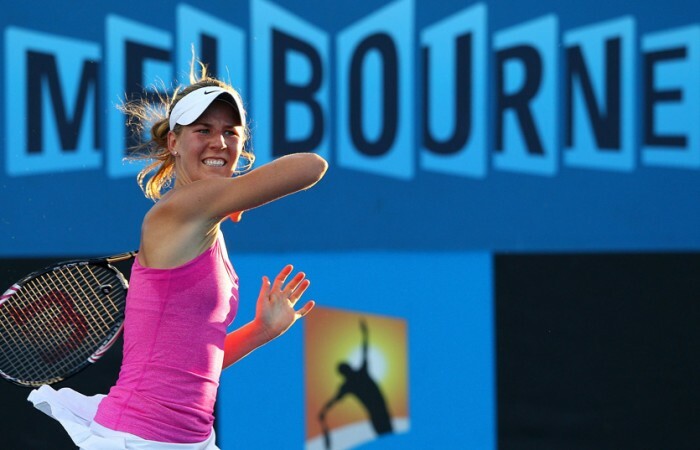 “My approach today was a bit different to the other times I’ve played at the Australian Open. 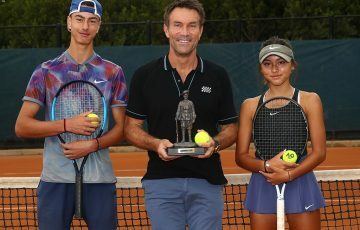 Fifteen-year-old reigning Wimbledon junior champion Barty went down 6-2 7-6 (7-4) to Anna Tatashvili from Georgia, while Ben Mitchell lost 6-4 6-4 7-6 (7-1) to John Isner, the big-serving No.16 seed from the US. 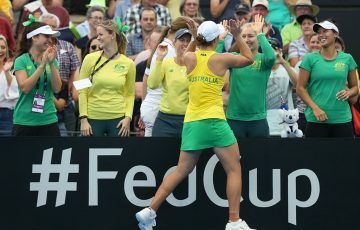 After being outplayed in the first set, Barty steeled herself in the second, matching it with her more experienced opponent and buoyed by the vocal support of the crowd on Show Court 2. 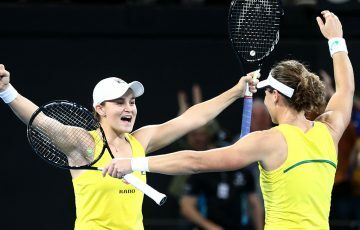 Barty gained a golden opportunity to reach set point when she prepared to attack a short ball off Tatishvili’s racquet, but the wildcard sent her forehand into the net, letting the Georgian off the hook. When the set progressed to a tiebreak, the momentum was clearly in Tatishvili’s favour, and soon Barty found herself down 1-5. She recovered a few points, but eventually went down after one hour and 23 minutes on court. Earlier in the day on Margaret Court Arena, Sydney journeyman Greg Jones looked like he had the measure of No.13 seed Alexandr Dolgopolov from Ukraine. 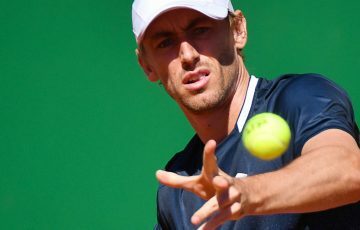 But the grand slam rookie faltered before going down 1-6 4-6 6-1 6-1 6-2 to Dolgopolov, the surprise packet of the 2011 Open when he advanced to the quarter-finals. “I played one sloppy game and he got a break in the third set and got the momentum,” said Jones. “My body wasn’t too good in the last two sets. Ben Mitchell also fell in his Australian Open main draw debut. 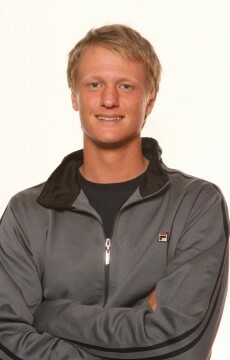 Mitchell fought valiantly against big-serving American John Isner but he was defeated in straight sets 6-4 6-4 7-6(1).